The Busch Reisinger Museum at Harvard University, Cambridge, MA holds the original and a 2006 reproduction. Earlier reproductions from 1970 are held at the Van Abbemuseum in Eindhoven, Netherlands and the Bauhaus Archiv in Darmstadt, Germany. Different sources provide different dates for the work, 1922-1930, 1923-30, 1929-30. In any case, it is a key work in the history of kinetic art, light art, and installation. Edward A Shanken, Art and Electronic Media, 2009, p 85. Ibid, p 18. 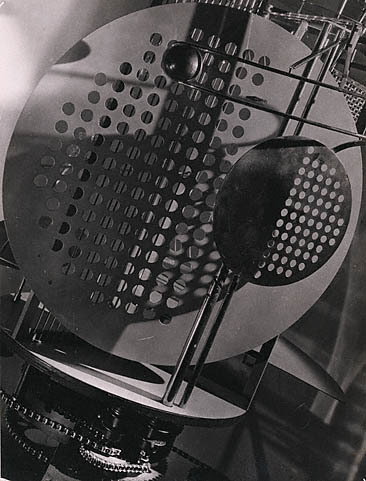 Moholy-Nagy quoted from The New Vision, 1928.